Al Pacino, Sean Penn, and Penelope Ann Miller create an artistic and romantic twist to the gangster genre in Carlito's way, story of a convicted gangster by the name of Carlito Brigante, known to his ex-lover as Charlie, who manages to get his way out of jail thanks to crooked drug-addicted lawyer David Kleinfield. After his release, he's convinced himself that he's never going back to his life of crime, but before he knows it, he's inevitably being pulled back thanks to his corrupt friends and family. While Scareface centered around the action and grittiness of the gangster life more then anything else, Carlito's Way tends to lean to the romantic side, giving the film an artsy twist. For example, in one scene there is a close up shot of a revolver, the chamber slowly moving to an empty slot. There is another famous scene with Carlito inside of a dark bathroom, his back against a wall with a pistol in hand. The way the camera is placed, the way Carlito is standing, and the way the lighting reflects off of the wall and his leather jacket are all taken in to account by De Palma. 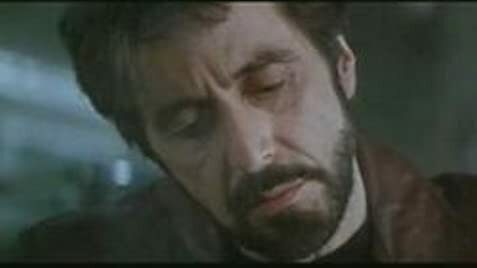 To make a long story short, Carlito's Way is very beautiful, and this is all thanks to De Palma. He directs the movie very well, you can tell that he put some true dedication in to this film. Needless to say, the acting is incredible, no matter what you might be hearing. Al Pacino is as always great, and Penelope Ann Miller is as well. But most of the time you'll find yourself deeper inside Sean Penn's character then Pacino's or anyone else's. He's steals nearly every scene he's in, if not then he steals all of them. He's almost too convincing. The scores are very, very strong and add on to the artistic feel to the movie. Not only do they add on to that, but it adds to the tension, the romance, and the tears as well. To sum it all up, Carlito's Way is the best gangster film ever made. I love it more and more every time I think about it. Al Pacino originally wanted to grow a ponytail to play Carlito. But when he visited East Harlem, he saw that none of the men wore their hair that way. Carlito places his glass down twice when he first goes back to his old neighborhood.